(e) the quantum of funds allocated for the said purpose by the Government? (a)to (e): A Statement is laid on the Table of the House. STATEMENT (a) to (e) REFERRED TO IN REPLY TO LOK SABHA STARRED QUESTION NO. *61 TO BE ANSWERED ON 07.02.2019. 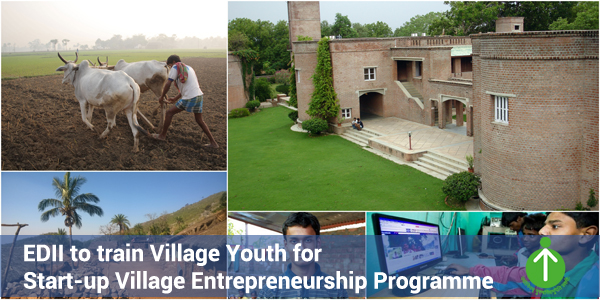 (a)to (e): The Ministry of Rural Development (MoRD) is implementing the Start-up Village Entrepreneurship Program (SVEP), as a sub-scheme under Deendayal Antyodaya Yojana - National Rural Livelihoods Mission (DAY-NRLM). The scheme was approved on 6th May, 2015. The objective of the scheme is to help the rural poor to set-up enterprises at the village level in non-agricultural sectors. Besides providing start-up capital, a cadre of Community Resource Persons-Enterprise Promotion (CRP-EP) is set up to provide business support services to enterprises. The Ministry has issued detailed guidelines for implementing the program. Accordingly, States have to submit supplementary Annual Action Plans (AAPs) for identified blocks. Once approved, a Detailed Project Report (DPR) is prepared for the block which provides, among other things, the details regarding the potential number of enterprises to be formed over the 4- year project period. As on 31st January 2019, AAPs have been approved for 153 blocks across 23 States. DPRs have been approved in 108 blocks in 19 states. As per the approved DPRs, 1.76 lakh enterprises are targeted for formation over a 4-year project period. As on 31st January, 2019 a total of 33,616 enterprises has been set up. The details of funds released to the States are given in Annexure I.